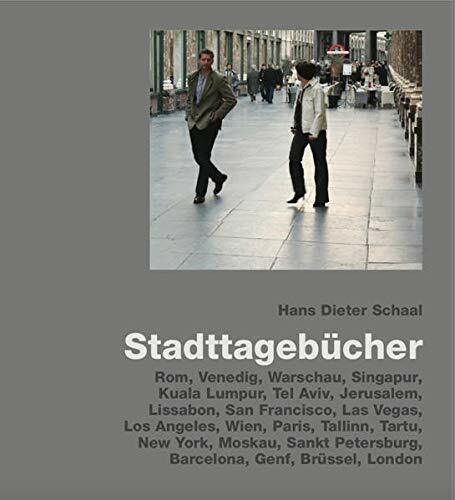 Synopsis: The architect Hans Dieter Schaal, who has designed scenery for almost every major theatre and opera house in the world, often spent many days in the same city. He began to research the cities, to get the feel of them and to travel them on foot like a wanderer. Alongside these subjective impressions, the author presents plenty of facts, making this book an accurate picture of an age dominated by cities. About the Author&colon; Hans Dieter Schaal is a stage designer, architect, landscape designer, philosopher and utopian rolled into one. His works, most of which were published by Edition Axel Menges, have in the mean time found an audience not only in his home country, but throughout the world. The author lives and works in Attenweiler near Biberach (Riss). 5. Stadttagebücher. Rom, Venedig, Warschau, Singapur, Kuala Lumpur, Tel Aviv u.a.